my life couldn’t get any better and yet it did! 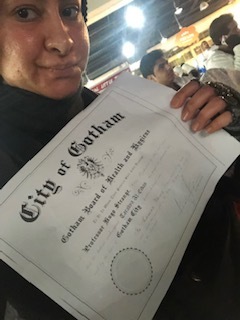 I met Robin Lord Taylor at Kuwait ComFestCon - yaaaaaaaaaaaaaaaaaaaaaaaaaaaaaas! I feel as if this was a manifestation of my wildest dreams, but then again; did I really manifest this? I mean there are so many people living here in Kuwait who are fans of Gotham, so I alone can’t be the only one who wanted him here. and really it’s about time that we had some proper TV and movie actors visit Kuwait! all I ever wanted was to meet Robin Lord Taylor, and talk to him, and take photos with him! but I was never able to because I can’t travel… Muslim girl problems, am I right! so I when I found out about his little trip to Kuwait via @teamrobinlordtaylor ‘s instagram, I was really happy to have this little dream of mine come true and that Robin was going to came to Kuwait -just for me! seemed pretty simple, so I went for it. I printed out a certificate-of-sanity just like the one they had on the show, and I left work early that day to get cupcakes. I had to buy macaroons instead because they fresh out! which actually worked out for the best seeing as I was there for a long time, and the cupcakes would have spoiled which would have been a waste. I bought myself a keychain from Laduree too when I got the macaroons for Robin. mama needs a treat too! and my new car deserves a fresh, new keychain. I picked up some Godiva too, and I found a bag with “Kuwait” so I got that too and I put everything in a bag along with a signed copy of my book. when I got the convention, I was so happy to there! all the cosplayers, all the booths, all the people! it was amazing. and I found out that one of my friends was one the organizers there! it was super amazing. I'm so glad Talabat sponsored the event! I love them!!! this was one of the BEST interviews I’ve seen with Robin Lord Taylor. he shared quiet a lot and I’ve learned things about him that I never knew before. thank-you to GeekHouse Show for this effort. to my dismay, no one was able to guess my cosplay as I looked like I was just hanging out in my regular clothes. I mean, when you need to explain your cosplay then it’s not very good cosplay! but not bad for my first time. I know now that next time will be amazing because of this mistake… I’m going as Carmen Sandiego next time!!! unless I find a guy, then were #nygmobblepot ! after the question-and-answer session, we all went our separate ways. I had to wait for 3 more hours until the meet-and-greet session, so I went to pray and got myself a bean burrito! I think it’s awesome that I didn’t wear makeup that day, as it would have been tragic to delay my prayers! and then the golden hour came. I had to wait in line coz there were a LOT of people there waiting to see RLT! there was a little girl who lost her spot in the line, so I let her get ahead of me… it felt good to do a good deed. people are not as cool as that with me. there were so many things I wanted to say to him… but we took a few photos, and I handed him the goodie bag I made for him, and I explained my OOTD… he was sweet about the whole thing, although I’m sure he didn’t get my cosplay either! the next day, I went to ComFestCon again as I had a 3-day pass and the convention was for three days! I was NOT about to miss a single chance to meet Robin although it cost 10KD to chat with him… most expensive conversation I ever had with someone, but Robin is totally worth it! I wore regular clothes and makeup too, and I felt like my real self that time! I put on that Tshirt that Camren Bicondova endorsed with Gary Vee for helping homeless animals (or something like that). he was pleased to see that I had one of those! or maybe he was shocked to see the logo on my massive bosom! anyway, we took some more photos that day too. 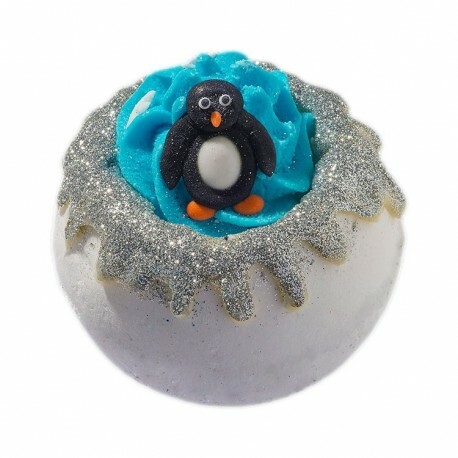 the day after that he called me by my name, Tara, and told me that used the bathbomb that I gave him in the goodie bag - oh yeah, did I mention that I included a bathbomb that I never used from Bomb Cosmetics that I purchased for their campaign to save the penguins? it was kinda weird having that image in my head of Robin in the bathtub, although I love seeing Penguin himself in the bathtub… strangely, though, the Robin thing just didn’t do it for me! but I still feel like Gotham could use more Penguin in the tub! overall, the ComFestCon experience was amazing and I can’t wait for the next one. 2019 has begun wonderfully. it’s going to be an amazing year, indeed, and I can’t wait for the rest of my life to begin.